UPDATE: Officials at Kadena Air Force Base in Nagasaki, Japan said Wednesday morning a search team has found the body of the 3rd airman from Robins Air Force Base swept out to sea by waves during a typhoon on Sunday. A news release from the base says a combined team of Japanese and U.S. Air Force rescue teams discovered the third body in the water, just a few miles south from where the three airmen were last spotted on the northwest coast of Okinawa. On Tuesday, Kadena Air Force Base announced they recovered the body of a second airman swept out to sea by waves after a typhoon. A base news release says the body was found Tuesday, about a mile and a half south of where three airmen went missing Sunday afternoon. The Air Force did not identify the body. A third airman is still missing. All three airmen were based at Robins Air Force based and temporarily stationed on Okinawa, an island about 1,000 miles south of the Japanese mainland. Kadena said the search at sea for a third body ended at sundown Tuesday and will resume at dawn Wednesday. Search on land will continue into the night Tuesday, they said, to capitalize on calmer seas and low tide. The Georgia Air National Guard has identified the airman whose body was recovered after he died in a typhoon Sunday as well as two other airmen still missing. A news release Monday night says Senior Master Sgt. James Swartz was an aerospace propulsion superintendent with Robins Air Force Base's 116th Air Control Wing of the Guard. Still missing are Master Sgt. Daniel Paschal, an aerospace craftsman with the same wing, and Air Force Staff Sgt. Joshua Schoenhoff, an instrument and flight systems specialist with the 461st Air control wing. He had previously been identified by his family pastor, who has been comforting his family. In a statement Monday night, the commander of the 116th ACW, Col. Kevin Clotfelter said, "Our hearts go out to the 116th and 461st members and their families during this time of loss and unknown outcomes. Please keep your thoughts and prayers of support directed toward all those affected." The Commander of the 461st ACW also released a statement, saying, ""We share in the sorrow felt by these Airmen's loved ones. We will do all that we can to work through this tragedy together." UPDATE: The search for the two missing Robins airmen is scheduled to begin Monday evening, Macon time, as the sun rises Tuesday in Okinawa. The search was suspended overnight because of darkness. We have identified one of two airmen still missing after they were swept away by high seas Sunday afternoon off the Japanese island of Okinawa. A third airman was pulled from the sea and pronounced dead. All three were on temporary duty at Kadena Air Base on Okinawa. One of the missing is Joshua Schoenhoff, according to Pastor Andy Cook of Shirley Hills Baptist Church in Warner Robins, who said he spoke to Schoenhoff's family. He said Schoenhoff is a staff sergeant who works in aircraft maintenance with the Joint Surveillance Target Attack Radar System (JSTARS) wing. He is from Missouri. The newspaper in Sullivan, Mo., the Independent News, reports that Schoenhoff graduated from nearby Bourbon High School in 2006. Cook says Schoenhoff's family was told a group of airmen were walking along the beach and one fell in. Others jumped into the water to try to rescue the other and two were swept away by high waves churned up by a typhoon. Our meteorologist Matt Daniel says the storm was well off Okinawa and skies were likely partly cloudy or sunny at the time of the accident, but with winds gusting 25 to 35 miles an hour. Waves were high after the storm had just pushed by Okinawa. Names of the other airmen have not been released. UPDATE: Officials at Kadena Air Base in Japan said they have suspended the search for two missing Robins airmen who were swept away Sunday by a typhoon in Japan. Another airman's body was pulled from the water by Japanese officials. The search for two Airmen missing at sea is on hold from sunset Oct. 6 until sunrise Oct. 7 on Okinawa. The two Airmen and one other Airman went missing after they were washed out to sea from the northwest coast of Okinawa at about 3:45 p.m. Oct. 5. HH-60s from Kadena Air Base and the Japanese Coast Guard searched for more than 24 hours. Rough seas are complicating rescue efforts. One of the three Airmen was discovered by the Japanese Coast Guard and pulled from the sea Oct. 5; he was later pronounced dead at a local hospital. "Team Kadena's thoughts and prayers are with the family and friends of the Airmen involved in this tragic incident," said Col. Thomas Torkelson, 18th Wing vice commander. "This event touches every member of the Air Force family -- the search for our missing brothers-in-arms will continue." UPDATE: An airman from Robins Air Force Base was killed in Okinawa, Japan Sunday in hazardous weather. A typhoon struck the coast of the country causing high waves and strong wind. According to Robins, two other airmen are still missing. All three were visiting the northwest coast of the island and were swept out to sea by a high wave around 3:45 p.m. The names of the airmen are not being released at this time. The U.S. Air Force and Japanese Coast Guard are collaborating in a search and rescue mission. TOKYO — A powerful typhoon raced across Japan's crowded Kanto plain before moving offshore Monday, bringing heavy wind and rain and driving more than 400,000 people into temporary shelters. By noon, the sun had broken out in Tokyo and officials were working to re-open bridges and elevated highways that had been closed due to heavy winds and return city services to normal. Earlier, the fast-moving storm killed one U.S. airman and left two others missing in southern Japan, officials said. It also halted recovery operations at the site of last month's deadly volcano eruption, where 51 people were killed and at least 12 others are missing. Three U.S. Air Force members were pulled into heavy surf Sunday while taking photos on the island of Okinawa, where some 25,000 American troops are based, Japan's coast guard said. The U.S. Air Force confirmed that three airmen were washed out to sea and that one had died. Air Force helicopters and Japan Coast Guard cutters resumed the search early Monday. 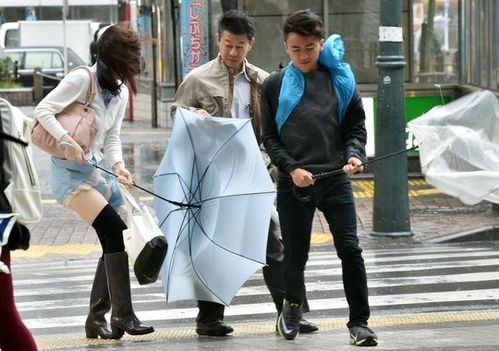 Typhoon Phanfone came ashore near the city of Hamamatsu shortly after 8 a.m. Monday. Authorities issued evacuation advisories for nearly half a million people in the storm's path, which included the Tohoku region in northeast Japan, which was hard hit by 2011's earthquake and tsunami. Bullet train service was suspended between Tokyo and Osaka because of heavy rain, and more than 600 flights were canceled at Tokyo's Haneda and Narita airports. Most commuter lines were expected to run on abbreviated schedules. Most schools, businesses and government offices in the Tokyo area remained open. Earlier Sunday, officials suspended search operations at Mount Ontake, in central Japan, site of the Sept. 27 volcano eruption, because of treacherous conditions created by heavy rain mixed with up to 2 feet of ash on the ground. The search resumed on hold Monday for fear of mudslides in the steep terrain. Nearly 1,000 police officers, firefighters, soldiers and others have been working to locate and bring down victims from the 10,000-foot volcano, a popular hiking spot not far from Nagano, the site of the 1998 Winter Olympics. Several hundred hikers were believed to be near the peak when the volcano erupted. It was a sunny Saturday morning on the first weekend of the autumn foliage-viewing season. Hiking is a popular pastime in Japan, and Mount Ontake is regularly visited by beginner and experienced hikers. There had been no unusual seismic activity in the area beforehand. Many of the hikers, ranging from children to seniors, had settled down to lunch or were resting near a summit cabin when the peak suddenly erupted. Many were killed in a hailstorm of rocks and boulders, while others were overcome by poisonous fumes or were buried in ash. It was the worst volcano disaster in Japan in nearly 100 years. The eruption and search for victims has transfixed much of Japan. Some of the victims were able to call relatives on their cellphones before dying from their injuries, and others took dramatic photos and video that have since been posted online. The search for victims will continue as soon as conditions allow. 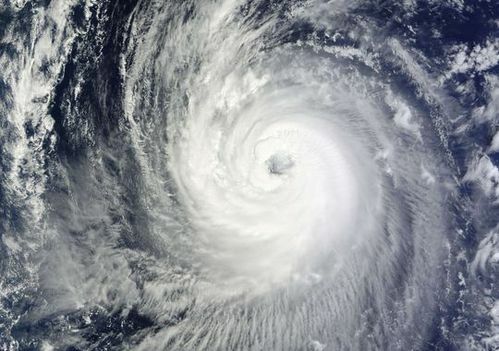 The Japan Meteorological Agency warned that Typhoon Phanfone could bring as much as 3 to 4 inches of rain per hour in the Tohoku region even after moving offshore Monday. The Formula One race at Suzuka, in central Japan, was brought to an early end Sunday after a severe crash in rain from the storm. French driver Jules Bianchi's Ferrari-powered Marussia car went off the track in a turn and struck equipment that was in place to remove another car that had crashed earlier in the same corner. Bianchi was in critical condition after surgery for a head injury.